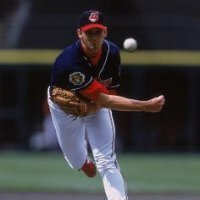 I started throwing sidearm in 1999 when I barely made the team for the St. Paul Saints after being a starter in the rotation the year before. I threw one pitch sidearm in the bullpen and the pitching coach, Bob Sebra, said to do that on every pitch! I threw it like that maybe 3 times my first start, then 10 the next start, then about 50% of the time by the third. I started throwing that way because I needed to do something different. I was just an average tall RHP with decent stuff. Throwing sidearm gave me a whole new box of weapons and a whole new attitude toward pitching. I felt like the hitter didn't want to face me and I could make the ball do different things that I couldn't do from over the top. Getting a ground ball was easy and I felt like my best stuff right down the middle was always the best approach. I used to always feel like I had to be perfect over the top and it made me nibble the corners. Throwing sidearm completely changed my aggressiveness in the strike zone. I would have never made it to the big leagues without throwing sidearm. I think there are positives and negatives. I don't see any problem with throwing both if you can master the mechanics for both. You have to see what keeps your arm the healthiest and how effective each are. Plus, what type of pitcher do you want to be? I was fortunate to not only be a ground ball pitcher but I also racked up some pretty good k's with throwing sidearm. Still, the grounder was my best friend. Yes, keep your core strong and stay down through the finish. A lot of guys will pop up too soon. 4 seam fastball, sinker, circle changeup and slider. I pitched righties sinkers down the middle and sliders down and away. If you could set them up looking for either of those then you can paint a 4 seam on the black to freeze them. To lefties I would throw sinkers away and changeups. I loved to come up and in on lefties. They see it so long and commit to swing but they can't tell it's coming up on them...they either swing and miss or foul it off. Either way it's a great purpose pitch that you have to throw with conviction. My favorite part about throwing sidearm was all the different things I could do to the ball. I was the only sidearmer I knew of that threw a circle change from down there and I would say a majority of my k's were from that pitch. It's really not that hard to learn you just have to get a feel for it.